is a rare infection of the brain that is caused by the JCvirus. People with a weakened immune system are most likely to get the disorder. become partially blind, while mental function declines rapidly. Death usually occurs within 9 months. Imaging of the head and a spinal tap are done. Progressive multifocal leukoencephalopathy results from infection by the JC virus (which is not related to Creutzfeldt-Jakob disease). The JC virus is often acquired during childhood. Most adults have been infected with the JC virus but do not develop the disorder. The virus appears to remain inactive until something (such as a weakened immune system) allows it to be reactivated and start to multiply. Thus, the disorder affects mainly people whose immune system has been weakened by a disorder, such as leukemia, lymphoma, or acquired immunodeficiency syndrome (AIDS), or by drugs that suppress the immune system (immunosuppressants). Such drugs may be used to prevent rejection of transplanted organs or to treat autoimmune disorders, such as systemic lupus erythematosus (lupus) or multiple sclerosis. The JC virus appears to cause no symptoms until it is activated. blind. Walking may become difficult. Rarely, headaches and seizures occur. Death is common within 1 to 9 months of when symptoms start, but a few people survive longer (about 2 years). head is done. It can usually detect abnormalities that suggest the diagnosis. the JC virus in the cerebrospinal fluid. Sometimes the diagnosis is not confirmed until after people have died, when brain tissue can be examined. No treatment has proved completely effective. However, if the disorder that has weakened the immune system is treated, people survive longer. For example, if the cause is AIDS, highly active antiretroviral therapy is used. The term “progressive” in PML means that the disease continues to get worse and often leads to serious brain damage. Disease descriptions courtesy of the National Organization for Rare Disorders (NORD). To browse their extensive Rare Disease Database – including contact information for related organizations – visit their website at .www.rarediseases.org. ” In addition, JCV has been found in lymphocytes which might carry virus to the brain once activated. However, acquisition of immunodeficiency alone, with the consequent exacerbation of the persistent JC virus, may not be the entire explanation of the pathogenesis of PML. With the 70-80% prevalence of antibodies to the JC virus in the population at large and the frequency of acquired immunosuppression also being high, it is difficult to explain why PML is so rare. The term “multifocal” means that JCV causes disease in multiple parts of the brain. However, it is possible for an individual with PML to have only one brain lesion instead of several lesions. 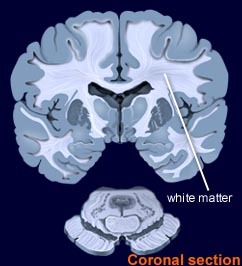 The term “leukoencephalopathy” means that the disease affects mainly the white matter of the brain or myelin, although there are some rare cases in which the gray matter neurons is also involved. If people are taking immunosuppressants, stopping the drugs may cause progressive multifocal leukoencephalopathy to subside. A Celebration of Women’s very own WOMAN of ACTION – Courtney Leigh Hewitt was misdiagnosed and succumbed to this virus. As we will not have her life lived in vain, are supporting the production of her life story, including the effects that PML had in her life.